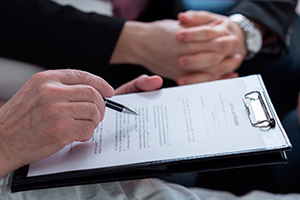 Death is an uncomfortable topic for many people, but it’s important for everyone to consider what they want to happen with their property and assets once they’ve died. Citizens of the Kansas City area can partner with a Kansas City estate planning lawyer. The right attorney can help create a comprehensive estate that fully details your final wishes and ensures your loved ones will have proper access to your property in the event of your death. If you live in Kansas City, turn to the Dorsch Law Firm for your estate planning needs. Our team has represented clients in Kansas and Missouri since 1986 with company formation, small business law, business succession planning, and a variety of different estate planning legal services. Our team is committed to comprehensive, compassionate legal representation regardless of your situation. When you die, your estate will outline what you want to have done with these assets and who inherits them. There are many types of estates, but each one will identify which family members and loved ones will receive your property. Attorneys construct estates to ensure that people receive the property you want them to have without any excessive legal entanglements. Because this can be a tricky process, obtaining the help of an experienced Kansas City estate planning lawyer is an important step. An improperly or carelessly constructed estate can lead to heavy legal fees, a drawn-out distribution process, and property left unlisted. For many estates, probate court is a necessity. The purpose of the probate process is to verify the estate is authentic and the items listed in the estate are accurate. The probate process also includes the time to identify and appraise the property you include in the estate. Additionally, the process addresses the decedent’s debts and owed taxes. If the estate fails to name any beneficiaries, the probate process will also distribute the contents of the estate in accordance with state laws. Probate is notoriously lengthy and expensive, often entailing several court appearances by attorneys and many court fees, which are paid out of the estate. That means that the beneficiaries of the estate might receive much less than they originally expected. Probate rarely works to the benefit of an estate’s beneficiaries. Depending on your age, your wealth, and your overall health status, there are several methods you can explore to avoid probate and that ensure your loved ones receive the property you want them to have. No matter what your situation is, it’s always best to start the estate planning process sooner rather than later. Depending on the format you choose, you can make alterations later if unexpected circumstances arise, such as a change in your health or the death of a beneficiary. There are several other methods for legally circumventing taxes, such as gifts, that an attorney can help you find. The Dorsch Law Firm has three decades of experience serving clients in the Kansas City area in all manner of estate planning. Whether you need to create an estate for a relative with special needs or you run a family business and want to ensure that it is in good hands after you die, the team at the Dorsch Law Firm has the experience necessary to handle any type of estate planning. Reach out to us for a consultation or to start the estate planning process.